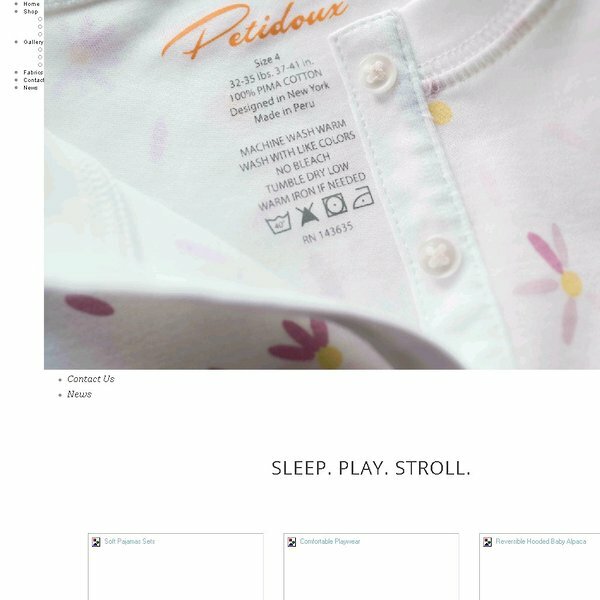 Petidoux was created to provide parents with a classical offering of quality pajamas and play sets, made from the best available pima cotton, modern patterns, retro inspired, and, above all, the softest touch. We offer a line of luxuriously soft children pajamas, using the finest materials that we sourced directly from Peru. 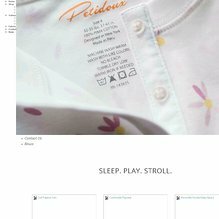 I am the main designer of Petidoux, and we started with a great line of pajamas, using our own patterns and our own prints, all in 100% Peruvian pima cotton. Petidoux is a New York company, but has clear French DNA in style and attention to details as both of us are French. As a working mother of two young boys, I have made those pajamas to be loved by both children and parents: children love them for their incredible softness and interesting designs, and parents love them both for the classic, soft prints and for the ease of care: it is wash and dry and looks great, with no need for ironing or special washing instructions. You will also notice throughout the use of three different styles of flatlock stitching, as well as no inside labels to make the experience of our garments perfect from the moment you buy it. As it happens when you go to a country, we fell in love with the baby alpaca that we saw, and decided to offer a fully reversible hooded sweater and pant set (leggings for girls). It is in 100% baby alpaca, with double knitted mother of pearls buttons. Our new Fall Winter 2017 collection, Wonderful Winter Wonderland, has some fantastic new and exclusive prints, which will take you through a whimsical journey with mischievous Gingerbread Men and delicious Candy Canes, with Funny Blue and Pink Penguins, where snowfall is made of shimmery Silver Snowflakes and Shimmery Pink Snowflakes. All our pajamas are from size 1 to size 12. Finally, in the summer collection we have short-sleeve short-pants for boys , as well as boxer shorts in their matching fabrics. Our permanent collection features prints inspired by classic children fairy tales , family life (” Lots of buttons”, “puppies”), or happy childhood memories (” love me, love me not”, ” flying-away balloons”). Even a visit to our beautiful Manhattan Zoo in Central Park influenced me to create our “funny penguins” prints!